Have one of our ground maintenance specialists call you today! 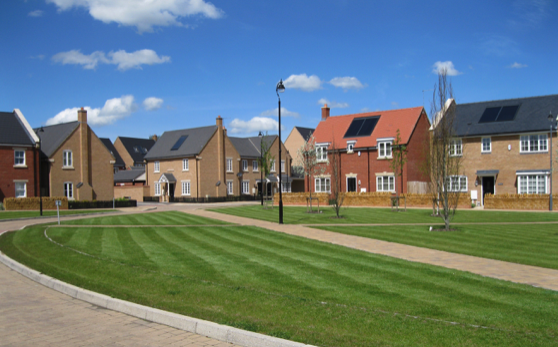 Town & Country Grounds are able to manage and maintain open spaces and communal areas on new build developments. Where local authorities don’t wish to adopt these areas there is a requirement for companies like Town & Country to take over the management. We work with residents and resident associations to ensure we are managing their open areas to the level they require. From grass cutting to shrub maintenance we also have the facilties to carry out litter management and street cleaning/sweeping. Give us a call today for a free site survey and to discuss your requirements. We have used Town & Country Grounds Limited for our grounds maintenance since 2016. They provide a reliable professional service with good customer service. They have been able to customise any extra requirements throughout the year which has been a real bonus to running the school grounds. Only recently starting using TACG for landscaping and turf supply. Good feedback from site personnel and a excellent all round service. We have used Town & Country for many years. Mainly for grass-cutting but also for play equipment installation; tree works and other grounds maintenance. We have always found them to be professional and punctual and the quality of work is excellent. We have no problem with recommending their services. Town and Country Grounds Limited have made a big impression across our two sites since they took over our grounds maintenance contract last year. Their operatives have been hard working, courteous and most importantly, very mindful of the requirements of working within school environment. On occasion we have had to make changes to our schedule and it's never been a problem. I would be happy to recommend their service. The Groundsman that comes to Kneesall is doing an amazing job. He is always polite and accommodating with whatever is happening at school. He works incredibly hard and the site is looking really well looked after, so we just wanted to let you know how much we appreciate his efforts. We have recently had a pond, decking and allotment garden installed here at Abbey Primary School. From start to finish, the service we received from Town and Country Grounds was professional, efficient and with minimum amount of disruption to the school. Jon took to the time to listen to our vision for the project and delivered exactly what we wanted and he kept me fully informed each step of the way. Both staff and children are thrilled with the end result! I would like to recommend Town and Country Grounds to other schools and businesses for any landscaping needs.